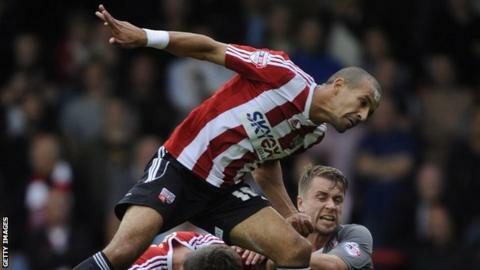 Partick Thistle manager Alan Archibald will continue his pursuit of Brentford striker Farid El Alagui. The Firhill boss has made an approach about the availability of the 28-year-old former Falkirk player. However, a change of manager at the English League One club has halted the progress of discussions. Mark Warburton has taken over from Uwe Rosler at Griffin Park and Archibald is looking at "quite a few" other options if his bid for El Alagui falls through. El Alagui moved to Falkirk from his native France and scored 27 goals during his season with the Bairns. A move to Brentford followed but goals have been harder to come by for the striker, netting only nine times since July 2012. "He's one we've had a look at," explained Archibald. "Whether we get him, I don't know. "We made an enquiry but obviously they changed managers last week so I think that's a set-back. "When every new manager goes in, they'll assess things so we'll need to wait and see."